I am a living statue artist with years of experience – adding that bit of sparkle to any event. Recently I was asked if I could liven up a dull space – the venue was plain white and the background very nondescript and uninspiring. I put on my thinking cap. How could I enliven this space? 1. It may seem an obvious point to start with, but Living Statues entertain! They inspire curiosity and generate positive feelings. People want to know if you are human! Will you move? How do you stay still for so long? Does it hurt keeping still for so long? Children in particular are absolutely mesmerised and fascinated, loving the experience of interacting with a living statue. 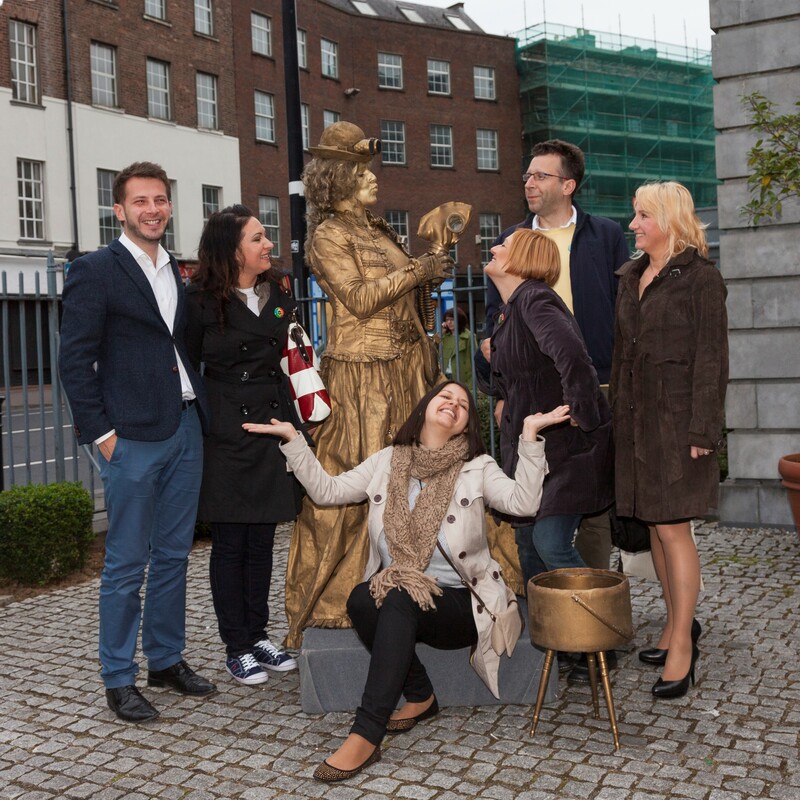 Statues often play games which leave your guests gob-smacked, but they also make people laugh together. 2. They attract a crowd. People will often stop and watch a living statue for a while, waiting to see what they will do next. Often whole crowds will gather to watch a living statue, mesmerized by their stillness, tricks and games. 3. They bring live theatre to ANY space! They can add colour to plain areas or an astonishingly still and stone-like sculpture to your venue. 4. They can add educational value through what they present and what they do. Some combine poetry with silence and they can be an invaluable way to promote reading. Others can bring history to life in a way that few others can. 5. People share it! People love to take “selfies” with a living statue, meaning that your brand, logo or festival will gain valuable advertising on social media pages. 6. People talk about what they see and if possible they like to come back with friends or children to see it again. 7. The media love it! Magazine features, newspaper photographs or short clips can promote your event to thousands of people it would not otherwise have reached. (You can see Orange Builder living statue at 00:05 min in this video or Sweet Dream at 01:02 min in this one). 8. They can be subtle. Living statues go along well with music or other shows and can add extra character to them, without distracting from the main event. 9. They are highly visible. Yes! 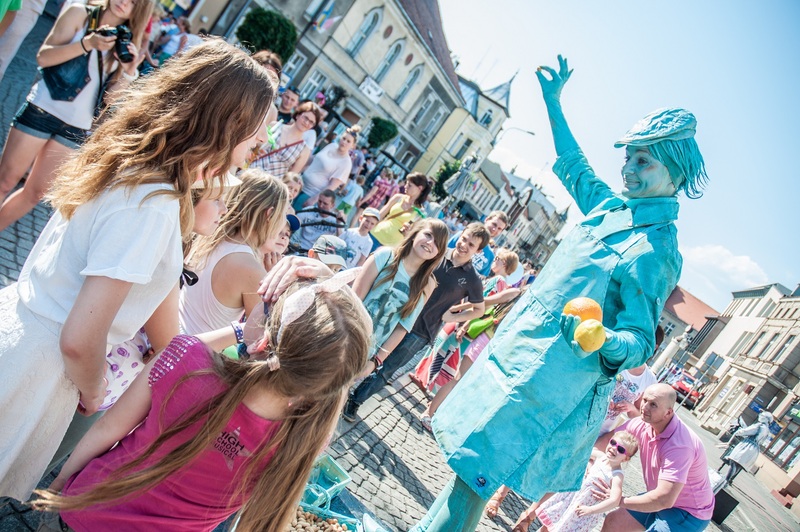 If you book an orange, blue or red living statue when everything around is mostly grey, you are going to stand out. On the other hand if the stone statue is an astonishingly similar colour, the surprise may be even bigger. Both can have extraordinary impact. 10. It is easy to set up. 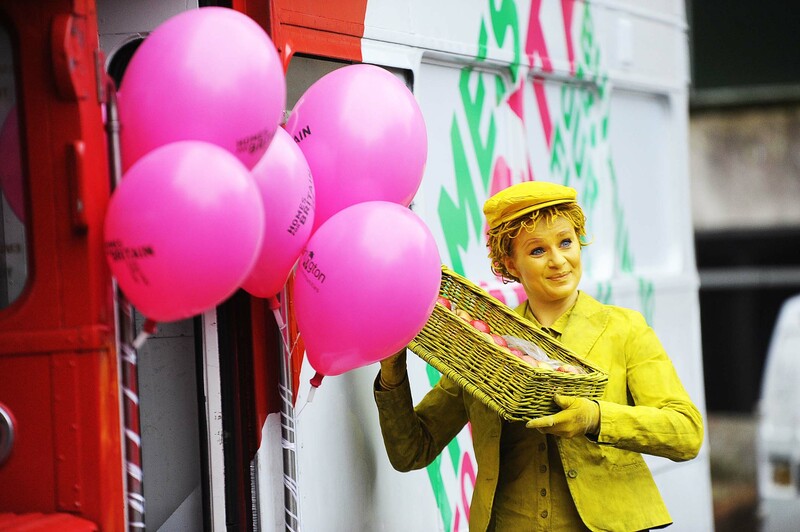 A living statue is the most simple theatre act to arrange in any area and ﬁt perfectly in any size of venue. Does a UfO bring aliens?